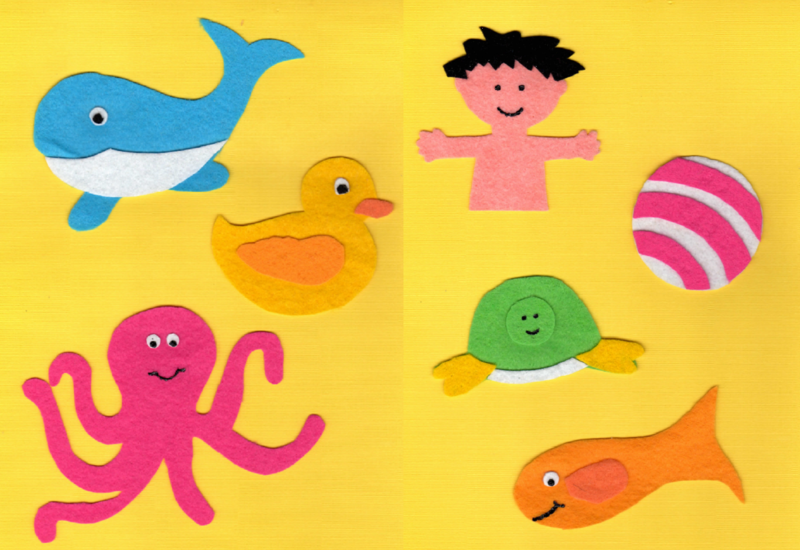 Here’s an updated ‘Bathtime and Bubbles’ storytime plan for you. I can’t believe that I first posted this theme four years ago…wow. I’ve included some new books that I love for storytime, as well as an updated flannel for Who’s in the Tub, aaannd I made you a new Elephants in the Bathtub printable! A sweet, rhyming story suitable for toddlers and preschoolers. Little bunny is always getting dirty, but Mama is always there to help little bunny hop in the bath and …..rub-a-dub-dub…get all clean again. Who hasn’t pretended that the toys in the bathtub come to life? 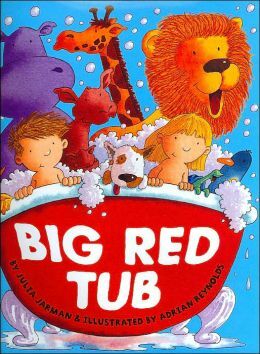 With each turn of the page, a new animal joins Willy John Jones in the tub. Click the link below for a scan of my flannel pieces that you can use as a template. You can reuse the bathtub from ‘Elephants in the Bathtub’ for this one too! Wash your head, and shoulders, knees and toes, knees and toes. 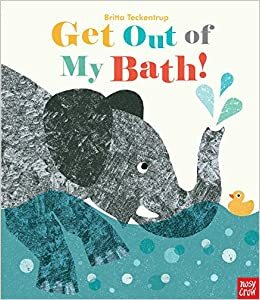 A book about Ellie the Elephant who loves to take baths! I love that the book has readers get involved by tilting the book from side to side to make waves or shaking the book. 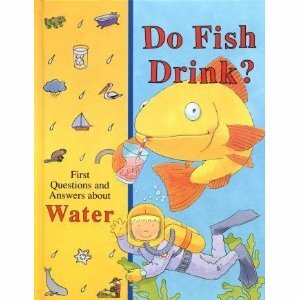 A fun read-aloud. Go outside if you can – or stay in – and let children blow bubbles. If you have a bubble machine, you could also turn that on and let the kids play! ….because everyone loves bubble wrap! I pre-made some bubble mitts (out of bubble wrap) for the kids to wear on their hands. You can find instructions for making them on Teach Preschool. Then I put out sheets of wax paper with blue paint on them. The kids could dip their bubble mitts into the paint and smear it around. Then they pressed their mitts down onto the pre-printed bathtubs to make bath bubbles! I had some rubber duckies already printed on yellow paper that the kids could glue on when they were finished. 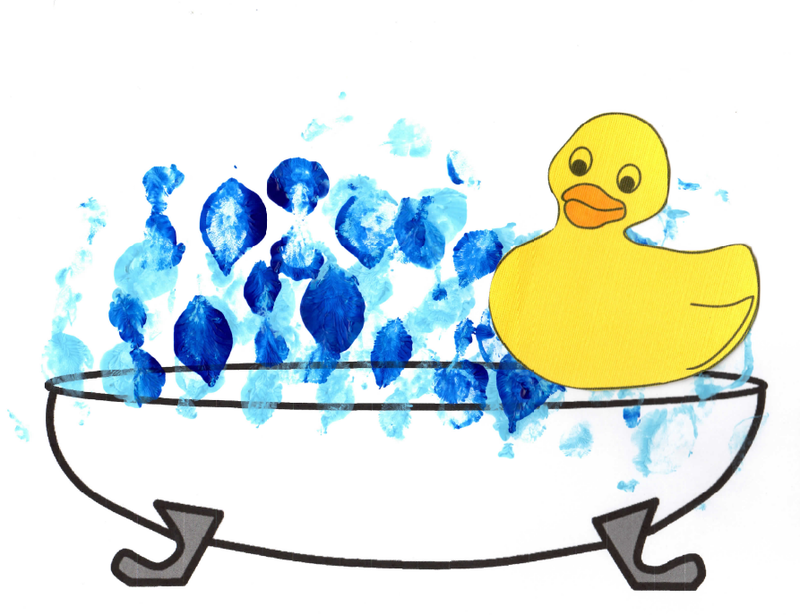 I used this rubber duck coloring page from azcoloring.com. This little blue gosling likes to eat everything. Until one day, she eats a soap bubble and can’t seem to stop burping up bubbles! Just adorable. Those little bears are just so cute! Perfect for toddlers. This is a fun, energetic, messy rhyming story that is perfect for reading aloud. How many animals can possibly fit in that bathtub with Stan and Stella? 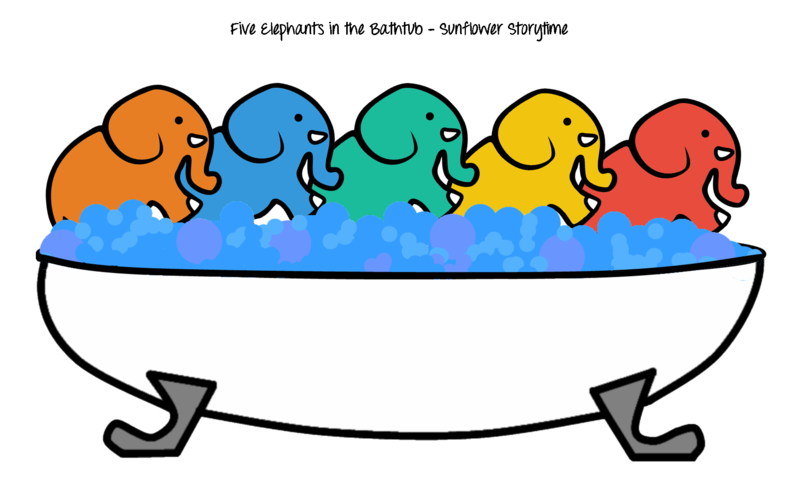 I think this story accompanies the ‘Elephants in the Bathtub’ rhyme & flannel nicely! 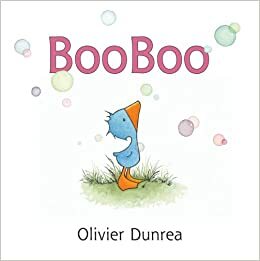 A great non-fiction read-aloud all about bubbles, accompanied by bright, diverse photographs. 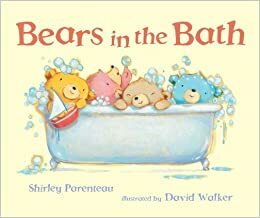 The first few pages of this book (specifically pages 5-7) relate to baths and bubbles. Hi girls! I’m doing a post on Take Me Out Of The Bathtub, and loved you image. I’ve linked back to your Bathtime & Bubbles post, and your About page. You have so many great books and activities here! Thanks so much! Aw, thanks for linking to us! Take Me Out of the Bathtub is hilarious 🙂 I popped over to your page and can’t wait to use some of your fun ideas as well! Thank-you for all these great flannel board ideas! You are helping me get out of a story time slump.